IMPORTANT: SOFTWARE TRAINING EVENTS - GET REGISTERED! 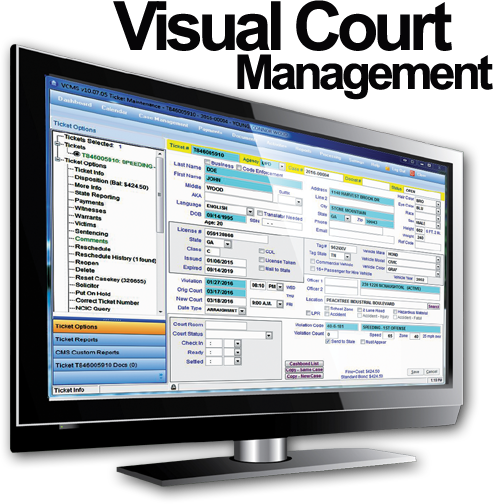 The Visual Court Management System allows you to manage cases on a case and citation level through one screen. The new visual DASHBOARD interface allows you to more easily manage cases from one screen. VCMS contains all of the same great features you`re used to, but now is even EASIER TO USE! VCMS with paperless features, includes electronic signatures, imaging and attachment of documents and media to any case.  Powerful CloudCop™ MOBILE Law Enforcement RMS Software with Aircard Sync, Lets Your Officers Work & Sync from Anywhere. 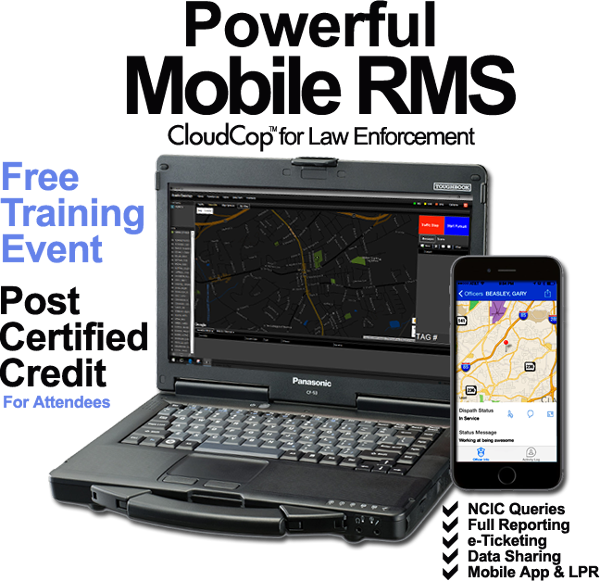 Our CloudCop™ Mobile RMS Desktop allows your officers to work and sync from ANYWHERE. Whether you need to enter an Incident, Accident, Family Violence, Juvenile Complaint or Arrest and Booking Report, CloudCop™ makes your job EASY. 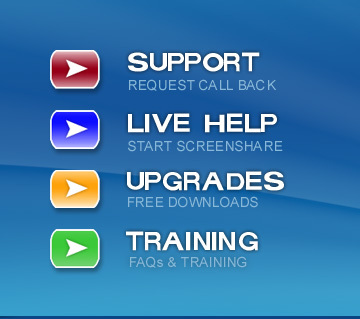 The user interface is super-easy to use and requires very little training. A night vision color scheme emits less light during in-car reporting which keeps your officers safer at night. Agency chat and messaging features keep your officers connected in the field. Our Daily Activity Report (DAR) and Task Assignments features helps you track, manage and stimulate your team's productivity. GPS tracking will help you know where your team is at all times. At Courtware Solutions, Inc., we believe that software without proper training, support, maintenance and upgrades, is just software. One of the rewards of being our customer is that you will enjoy FREE support, training, and upgrades with ALL of our products. We provide you with an affordable, total SOLUTION. Please subscribe to our email list below to receive VIP notifications of software upgrades, industry announcements and free event invitations. We are a Georgia based technology company with more than 20 years of court related experience. Our mission is to provide municipal courts in the state of Georgia with a software solution that will save time and money, as well as streamline the business of managing your court. We are very proud to have so many extremely satisfied clients. We would like to encourage you to research the feedback provided by our clients and to contact them directly and hear for yourself how the Courtware suite of products is helping cities and probation companies to become more efficient and effective. 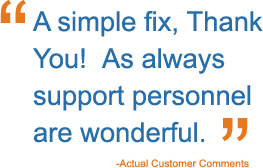 As our customers do, we promise that you will love our Customer Support. Every single customer is a VIP to us- you deserve that kind of service!